The Careening Camp depicts how pirates would live ashore when their ship was in need of repair. Before the ship would be laid over on its side, weapons and other provisions were offloaded to set up camp which included just about anything that could not be tied down. An armory would be set up and lookouts posted to keep watch as a ship and her crew would be quite vulnerable in these conditions. After repairs were made the ship would then be up righted with the incoming tide. The ship and crew would then set sail on to pillage and plunder once again. 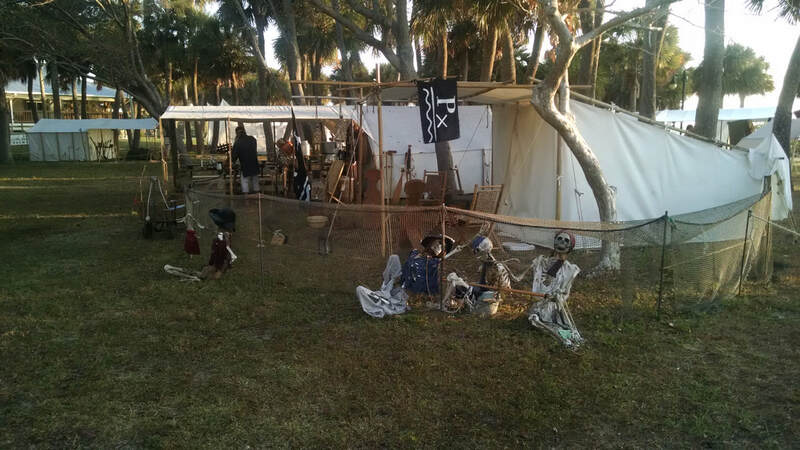 At the Pirate Encampment, visitors can see and experience firsthand what a pirate encampment was like, ask questions and learn a bit of pirate history. 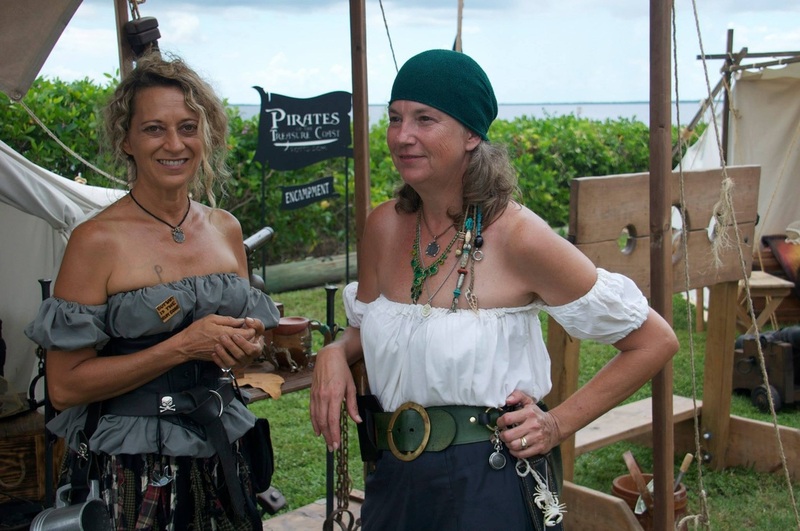 There is plenty for the little pirates too, interactive games, knot tying lessons, they may even get a quick pirate mustache, an eye patch or a piece of pirate treasure.